Another rattan set product from Java Indonesia. 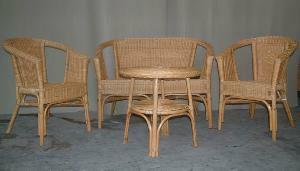 set named Fabion set made from natural rattan fitrit, suitable for Terrace, restaurant and home. Loadability for a 40ft cntr : 190 sets.